Get ready to pitch your script to the most influential people in film with David Pope, the director of advance films, whose directing credits include the award winning feature film, MILES FROM NOWHERE. advance films have teamed up with online writing platform, Circalit, to host a screenwriting competition to find great ideas for film scripts. As the former head of the New Producers Alliance, David knows the who’s who of the industry, and he will get your pitch up to speed so that you’re ready to be introduced to a network of contacts tailored to your project. David will help you position your screenplay for the industry and recommend to you the producers and executives who are just right for you. advance films is a London based production company that also provides training, support and consultancy services. advance consults on projects at all stages from development to finance to distribution and David’s clients and collaborators have included everyone from the BBC, BFI and the UK Film Council to the Cannes Cinefondation, The Rotterdam Lab and Edinburgh International Film Festival; so make the most of his experience to get your script pitch perfect. All entries will receive a professional feedback report on their script. The deadline for submissions is Dec 1st 2011. Please visit www.circalit.com/projects/competitions/davidpope for more information. After reading Jason Arnopp’s excellent lottery blog post on Tuesday (and vaguely remembering we had a discussion about that in the pub years ago – pretty certain I was arguing the lottery side in relation to a specific element of writing, but can’t remember why) I’ve been thinking about the nature of luck as it relates to scriptwriting, how much sway you have over that luck and what it takes to be successful. In particular I’ve been thinking about my writing friends who have achieved or are achieving success versus those who haven’t … and it all boils down to one simple rule. Continuously do everything which might lead to achieving your goal. The two key words in that sentence are CONTINUOUSLY and EVERYTHING. The best way to fail is to stop trying. The second best way is to limit your options to one method. 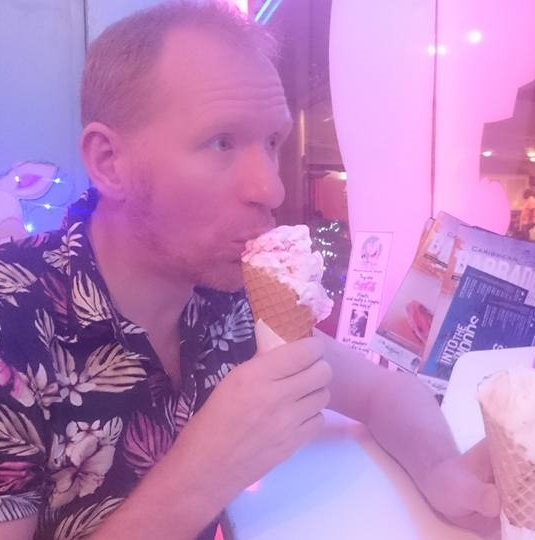 I know it’s an old analogy, but it’s my favourite and I love using it: selling a script is like buying an ice cream. 1) People who fancy an ice cream, but do nothing useful about it. These people talk a lot about wanting ice cream, they draw pictures of the ice cream they want, they may even glance out the window in the vain hope an ice cream van is passing; but ultimately they never leave the house and waste hours carping on about how they have no luck. 2) People who fancy an ice cream and attempt to get one with a lottery mentality. These people leave the house in search of an ice cream. They head for the beach because that’s where they think the ice cream vans are likely to be. They’re happy people who assume if they hang around the beach long enough, eventually they’ll find an ice cream van … but set themselves a time limit, give up and go home when it gets dark. They may get lucky and find an ice cream van. They may not. They are trying, but since they’ve already decided to give up at some point … they’re prepared to fail. If their town doesn’t have a beach … well, they tried their best and are content to just have jelly instead. I have no idea what jelly symbolises in this rambling analogy. 3) People who will stop at nothing to get an ice cream. These people do their research before they leave the house. Do ice cream vans actually hang out at the beach or somewhere else? Does the weather effect where and when they appear? Is there an ice cream van dispatcher you can ring and badger for information. What about people who’ve already got an ice cream – where did they get it from? Is there anything to be learnt from them? THEY WILL NOT RETURN HOME UNTIL THEY’VE FOUND AN ICE CREAM. Nothing can be allowed to stop them and if they have to stay out 24 hours a day for weeks, they WILL find an ice cream. Because that’s what they want. 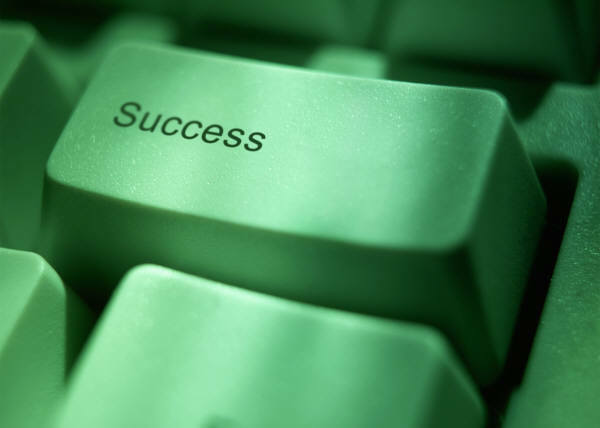 I’ve said it before and so has everyone else; but it’s worth repeating: success comes to the persistent. Yes, you need some talent; but crucially, you don’t have to be the most talented writer in the history of the world, you merely need to be slightly better than the herd, have the desire to try routes others scorn and the determination to never give up. 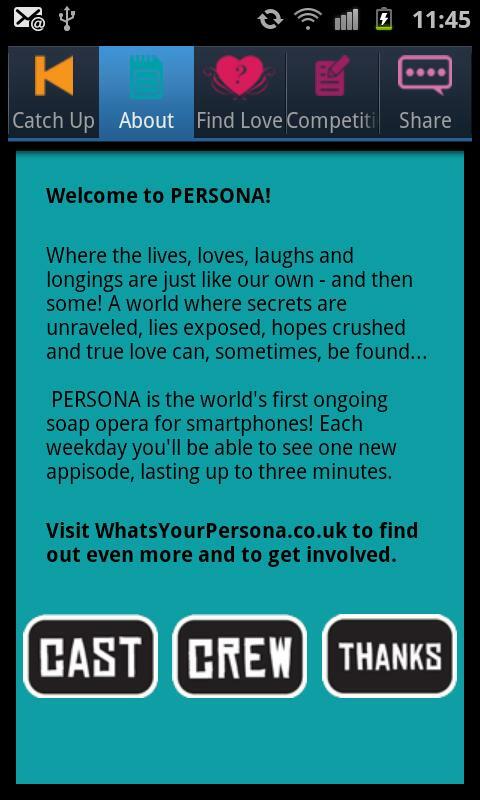 Some of you know this and the rest may have figured it out by now; but just in case you didn’t – Persona, the daily soap opera created exclusively for smartphones, re-launched last Monday. It was smack in the middle of my holiday where touching my laptop for anything beyond the odd tweet would have earnt me a trip to the naughty box. (Like the naughty step/spot but with more barbed wire). I actually think it’s better to wait until there are half a dozen appisodes released so you can watch them all in one block before starting daily viewing. I think if you just watch the first appisode on its own, it’s not really long enough to hook you. Five or six appisodes gives you enough time to work out if you like the characters or not and makes daily, byte-sized viewing that little bit more palatable. Possibly a load of balls, but that’s my theory and I’m childishly sticking with it. If you’ve got a Blackberry … I don’t know why there isn’t an app available yet. Sorry. 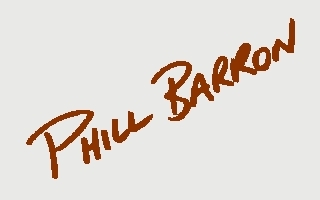 If you’ve got a Windows phone … I’d love to hear from you. Seriously. I don’t know anyone who owns a Windows 7 phone – I mean, I’ve met lots of historic Windows phones users, but absolutely zero Windows 7 phone users. Oh wait, that’s a lie. I knew one guy who worked for Microsoft who had to have one; but the minute he resigned he switched to an Android phone. Has anyone even seen a Windows 7 phone outside a phone shop? I’m not having a pop, if you’ve got one I’m genuinely curious to know. Although you can’t watch Persona either. Amazingly, the appisodes are all completely free too; so you can watch and (hopefully) enjoy risk free. The appisodes run Monday to Friday and last between a minute and a half to two minutes each. You can watch them anywhere you choose. Except possibly on the moon. Or maybe in the shower. Unless you put your phone in a plastic bag. Unless, of course, you haven’t got an iPhone or Android phone – in which case, you can’t. Well, you could still put your phone in a bag; but it would just look silly. I’ve been running the writing team for the show, a thoroughly pleasant task when you consider the first season (roughly a month of appisodes) was written by such awesome scribes as Ronnie Mackintosh, John Soanes and Adam Spinks. All of whom you can follow on Twitter (Ronnie, John, Adam) or in real life if you know their addresses and so desire. 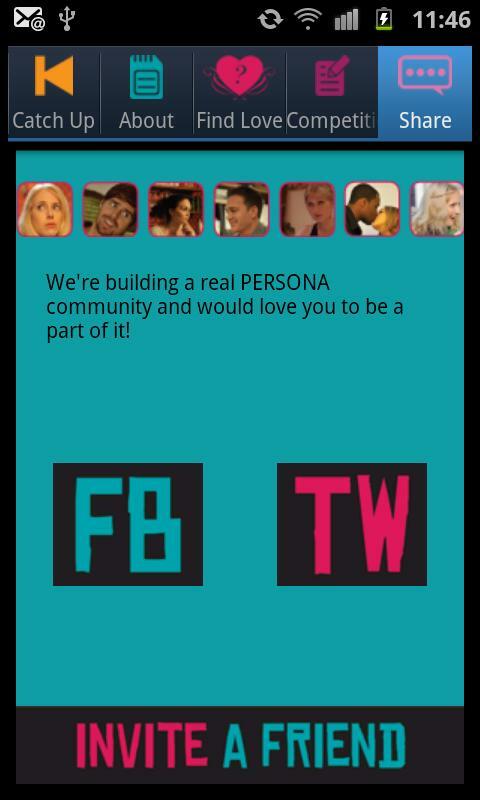 There’s a website too: http://whatsyourpersona.co.uk/ which has all sorts of other stuff including a trailer, a quiz and a online dating thing. That’s right, Persona can help you get laid! Oh, apparently I’m legally obliged to tell you it can’t help you get laid. Sorry. But if you all watch it, it might help me get laid! Everyone can look at the website though, aren’t you lucky? So there you go, Persona available on iPhone and Android – a daily soap opera broken up into little chunks you can watch on the go. Download, watch, enjoy. If anyone’s got any feedback, good or bad, I’d love to hear it. As usual I shall blushingly ignore the good out of sheer embarrassment and take all the bad to heart, seething in my own self-loathing until I take it out on the cat. Or someone else’s cat.